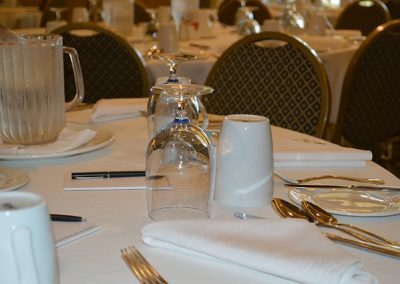 Corporate accommodation and meeting facilities for the business visitor to Crewe and Nantwich in South Cheshire has always been part of the Crown Hotel's repertoire. 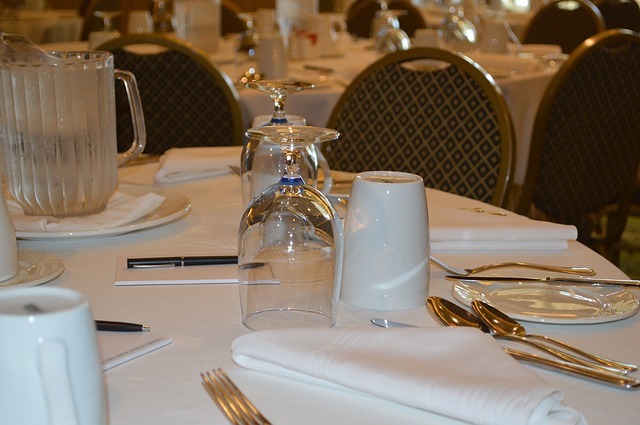 Corporate business meeting and conference facilities at the The Crown Hotel offer a choice of 2 meeting spaces. 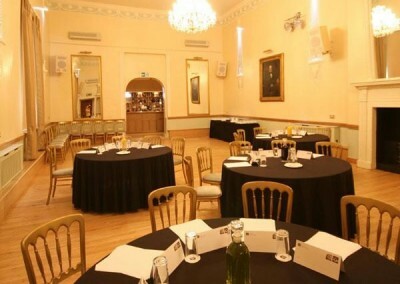 The Royal Cavalier Rooms, part of the Original Crown, with its wattle and daub walls and oak beams, provide the ideal ambience for smaller intimate business meetings where privacy and closely focused meeting sessions are in order. Seating up to 12 board room style, 30 in theatre configuration and with an adjacent refreshment area, the facility is designed to maximise productivity and delegate comfort. 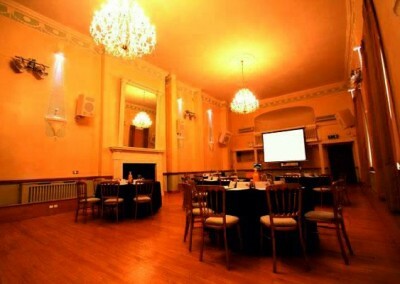 Our Georgian Ballroom provides a quietly impressive venue for up to 150 guests theatre style for conferences and high impact presentations, has built in audio visual equipment and is fully air conditioned. 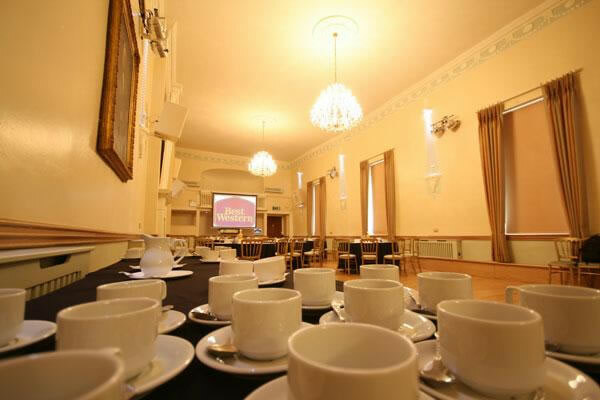 Ideally situated only 10 minutes from the M6 corridor, The Crown Hotel is a perfect choice for all business events. 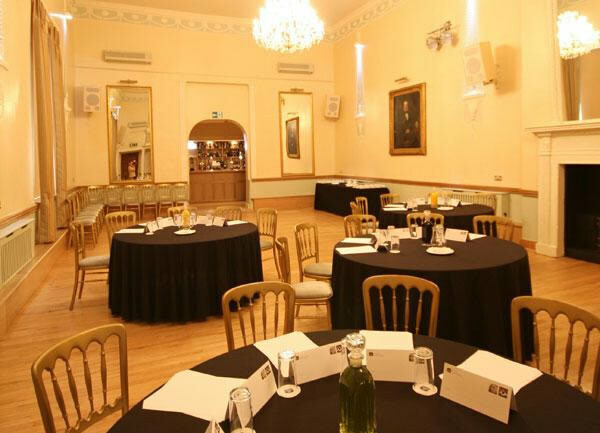 The Crown Hotel is well equipped to accommodate conferences, seminars and presentations in our large ballroom or the smaller Cavalier Room. Hire charges include the following. 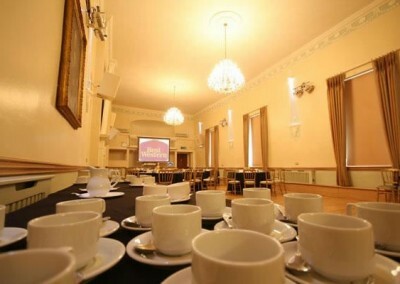 "Well organised, easy to find and great service throughout the day. It was only a regional conference, but they handled it with skill and just the right level of class."